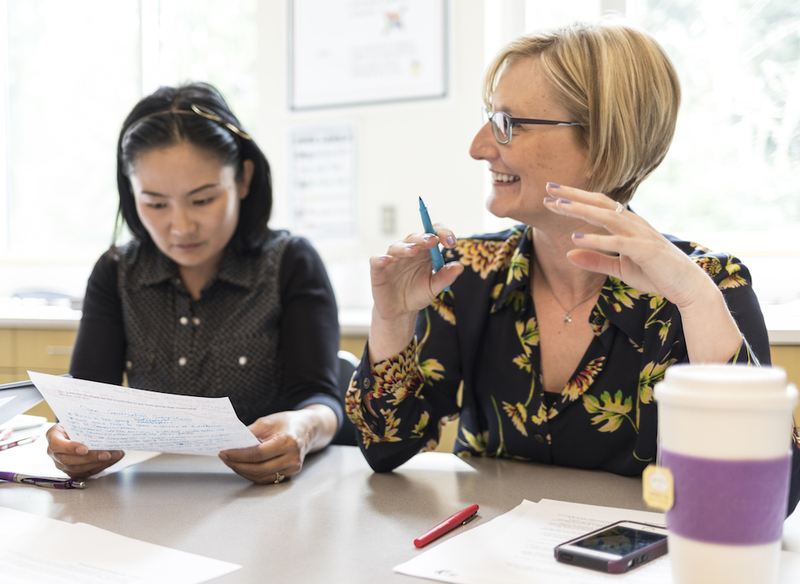 This uncertainty can complicate progress toward shared goals says Sylvia Bagley, director of teacher leadership programs at the University of Washington College of Education. Bagley shared her work examining relational models and teacher-leadership in her paper “Relational Models Theory and Teacher-Leadership: A Typology of Dyadic Relations” at the American Educational Research Association’s 2017 annual meeting. Clarity about how teacher-leaders and their fellow teachers relate to one another in different contexts is essential for establishing successful, trusting relationships, Bagley said. Yet teacher-leaders frequently interact with colleagues in relational spaces that are not easily or clearly defined, and encompass a broad range of roles and activities. Bagley said perceptions of relative status, equitable workloads and collective commitment can all trip up relationships. “Naming and understanding the relational models at work is the first step towards resolving such tensions,” Bagley said. In her paper, Bagley examines four basic social bonds (i.e., relational models) underlying dyadic human interactions: communal sharing, equality matching, authority ranking and market pricing. Some of those, Bagley said, may be more suited for effective teacher-leadership. For example, the more a person values organizing relationships around something important shared with others (i.e., communal sharing) the more he or she will prioritize benevolence and universalism values versus power and achievement values. That implies attention should be paid to cultivating teacher-leadership within an explicit landscape of communal sharing. "Ideally, the relational models that should be taking place between teacher-leaders and teachers exist within the realm, in most cases, of communal sharing and equality matching," Bagley said.